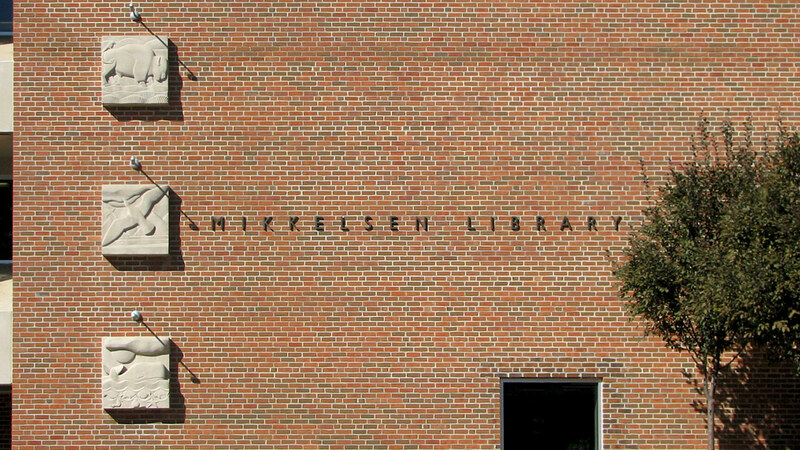 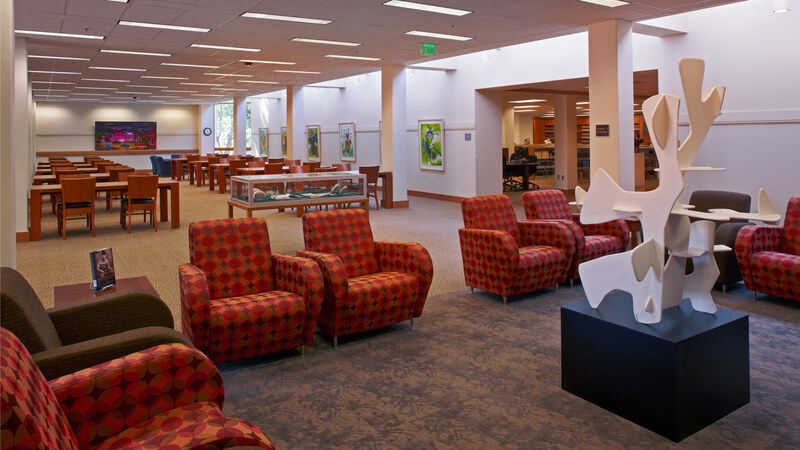 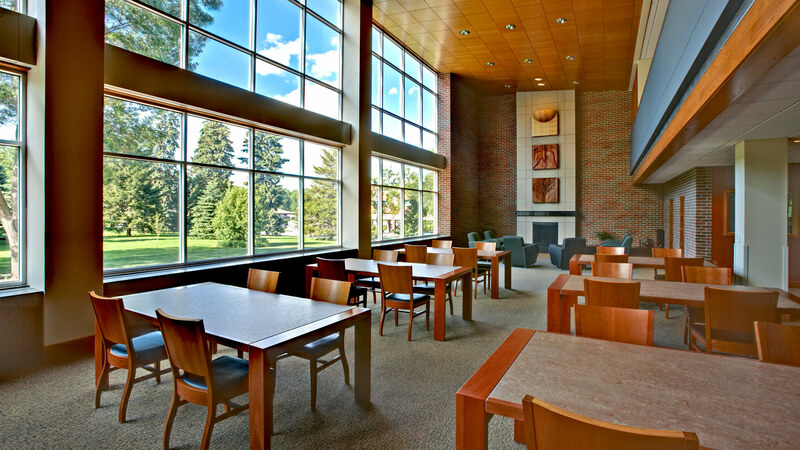 The three-story phased renovation created a new service desk, staff offices and work areas, organized goverment documents collection, microforms, media production and special collections, along with enhance student study and reading spaces. 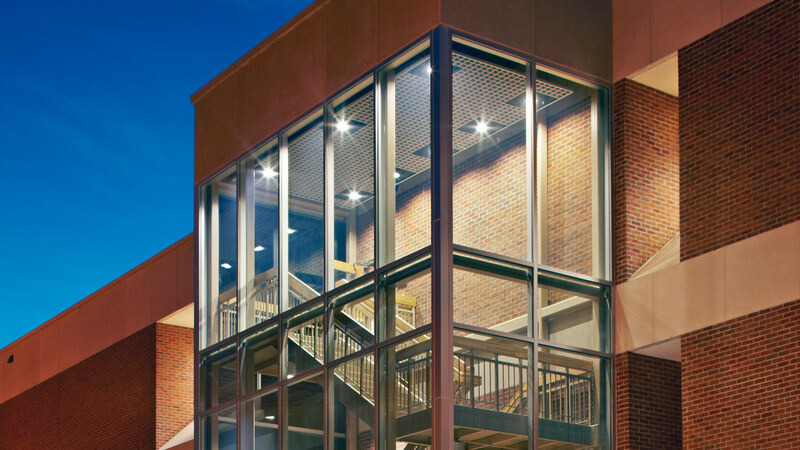 TSP introduced a creative solution that both increased interior floor space and enhanced the front entry while still meeting existing and egress points by relocating and interior staircase and building a small addition. 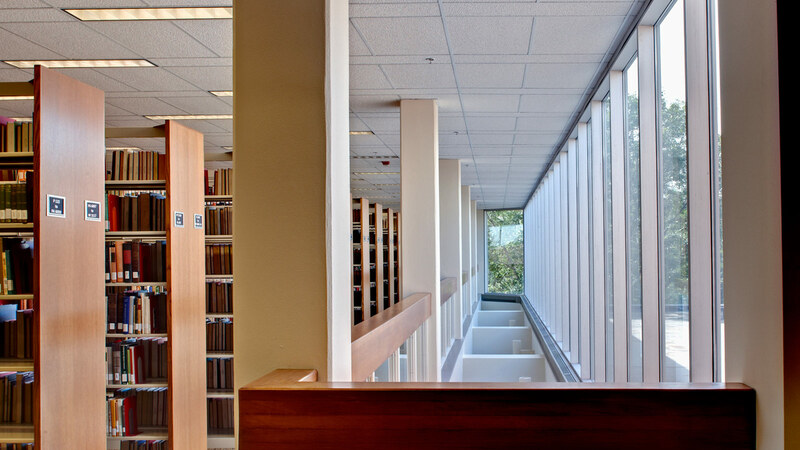 Concurrent with the functional changes, the building systems serving the library complex, which includes the original 1954 building and a 1980 addition, all designed by TSP, were upgraded and reconfigured to appropriately serve the remodeled plan. 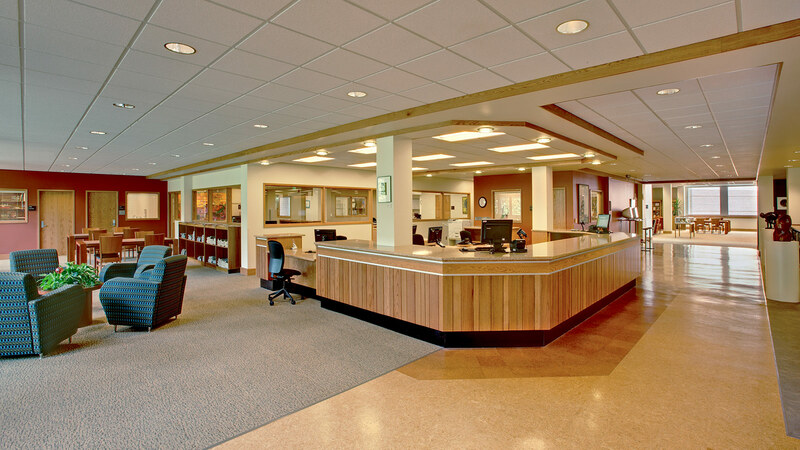 Plumbing, HVAC, power, data, lighting and fire alarm systems were upgraded and modernized.